The Hornady Lock-N-Load Ammo Concentricity Tool enables the hand loader to identify the bullet runout of each cartridge, and then eliminate it. 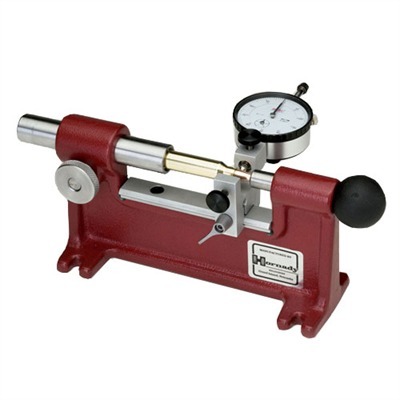 Once a loaded round is inserted into the Lock-N-Load Ammo Concentricity Tool, the dial indicator is used to adjust the cartridge runout to zero. Easy to set up, and easy to fine-tune your rounds. We've found the Hornady Lock-N-Load Ammo Concentricity Tool to be especially helpful with factory ammunition.